I'll give Zak Snyder's latest video game that I wasn't allowed to play a passing grade. 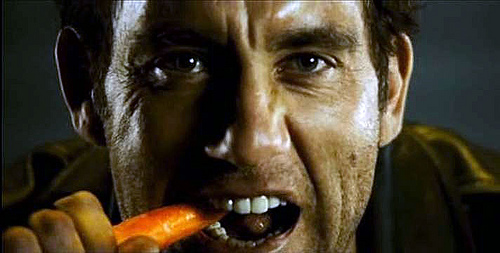 As once again Zak Snyder proves that he lacks story sense. Here I'll be trimming the fat of what felt like a five hour movie and then putting the rest of it together into something less problematic. I'm going to address the first ten pages, the dream sequences, kryptonite, and handling of Doomsday. In an age where horror films tend to be hit or miss, last year's The Purge was definitely a hit for me. 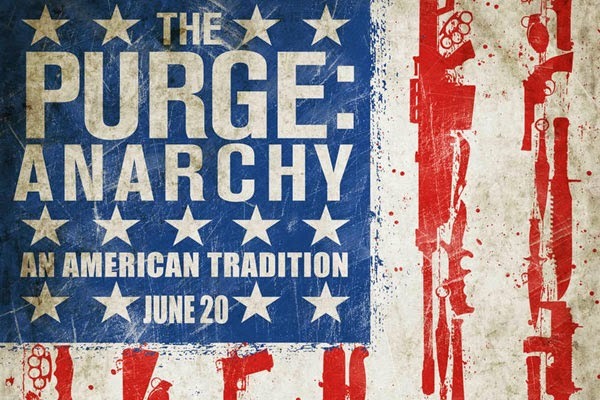 An interesting, yet simple concept, The Purge was a nice addition to the summer horror movie season, joining such films as Insidious: Chapter 2, You're Next, and The Conjuring. Now, just like in the movie, we get a new purge for a new year in The Purge: Anarchy. So many great films graced the silver screen in 2011, such as X-Men: First Class, Mission Impossible: Ghost Protocol, and The Descendants, but there's one that has always stuck out to me...Rise of the Planet of the Apes. It was a brilliant interpretation of a classic film series, and this weekend the next chapter of this story arrived. I will be taking a second hiatus from this blog due to a major disagreement over the Richard Donner Superman films. Also, I need to get my life together and start concentrating on a much larger project; my first feature film. I will be writing the screenplay and applying for higher paying jobs. Until, both of those goals are reached, I will leave you in the hands of Eli and Josh. Welcome to another edition of WEEKEND ROUNDUP, where we discuss this weekends box office results. The TOP 3 this weekend were X-Men: Days of Future Past, A Million Ways To Die In the West, and Maleficent. The brilliant mind behind Family Guy and 2012's Ted has done it again. 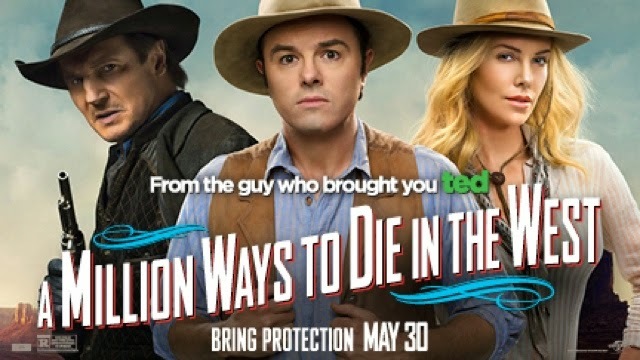 Seth MacFarlane's new western-comedy, A Million Ways To Die In The West, hit it out of the park this weekend. Welcome to another edition of WEEKEND ROUNDUP, where we discuss this weekends box office results. The TOP 3 this weekend were X-Men: Days of Future Past, Godzilla, and Blended.